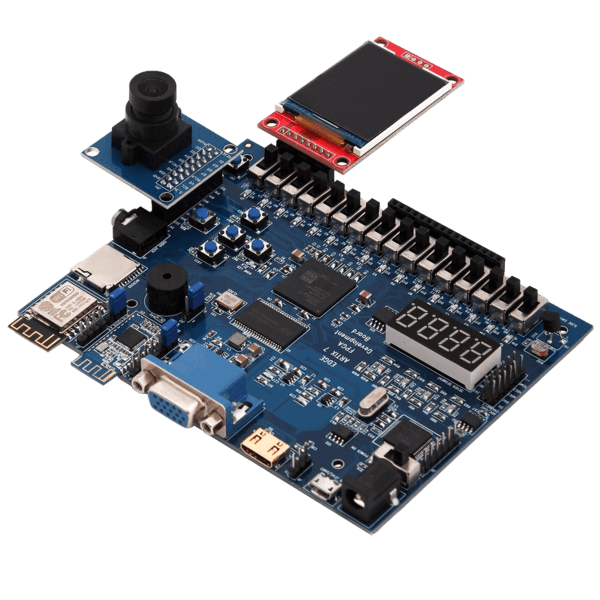 EDGE Spartan 6 FPGA Development Board consist of 16 No. of slide switches and 4 digit seven segment display. Lets display the 4 bit BCD of slide switches in the 4 digit seven segment display. 4 Digit 7 Segment Display present on edge board is common anode display. All 4 digits can be enabled by sending logic ‘1’. For example, lets take an 7 segment displaying 2 and dot. 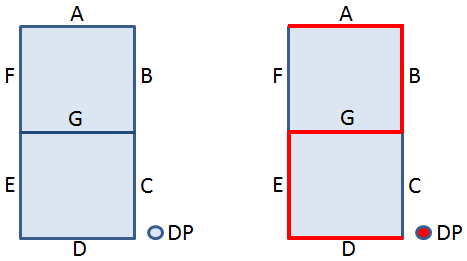 Segment A, B, D, E, G, DP are enable by providing logic ‘0’ as shown in figure. 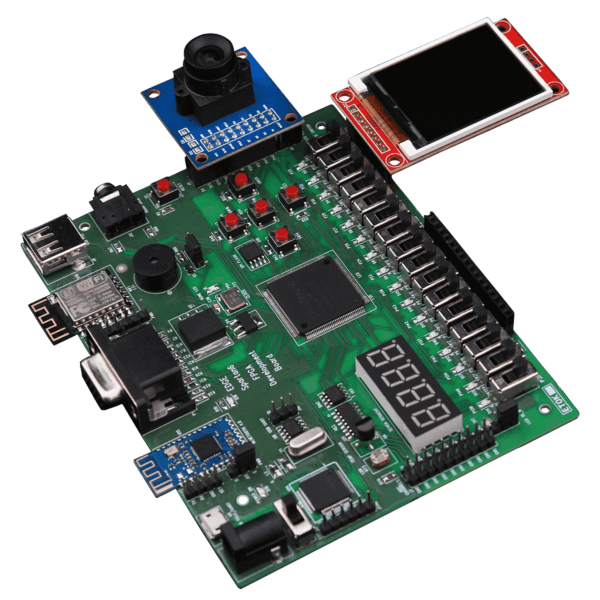 We already designed VHDL Code for BCD to Seven Segment Decoder and performed simulation of it. 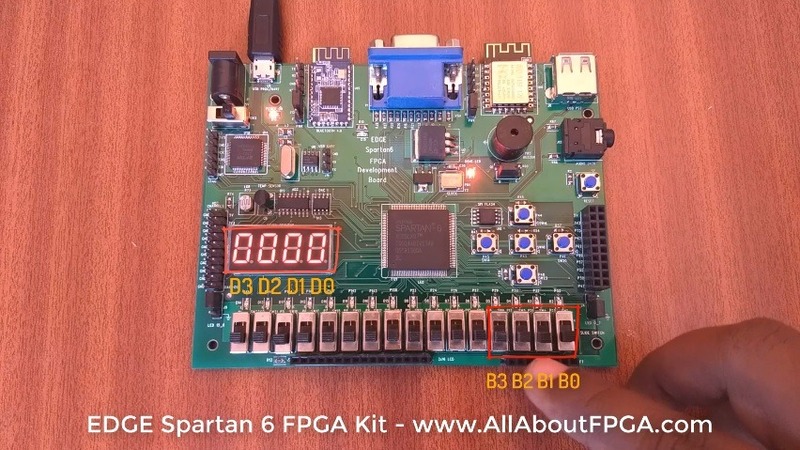 Adding digit enable line to the above code outputs BCD to Seven segment Decoder realization on EDGE Spartan 6 FPGA Development Board. We have assigned Switch SW2, SW4, Sw5, Sw6 for BCD input and 4 Digit seven segment display for BCD output.